Which nights are you available to do organized content, such as guild missions or raids? Want to win a precursor? Sign up for The Hunt for The Energizer via email to liteguild@gmail.com or in-game mail to The Charrdian before May 9th at 7:00pm EDT. Please include your account name. The Hunt for The Energizer is a competition open to Lite guild members and allies, where the grand prize is a precursor (The Energizer). All guild members except for myself are eligible for the full competition. All allies are eligible for all prizes except for the grand prize. The competition will consist of 5-6 "rounds", depending on participation, and will take place during May and June (2017). All participants will be eligible to receive prizes. More participation will result in more/better prizes. The prize list can be found here. The results of each round will be used for scoring. Scores will be hidden until the end of the competition. Cheating, such as providing portals to other players for jumping puzzle rounds or showing another player where a hidden location is will result in disqualification. The Energizer was contributed by Dwaffy, other prizes were contributed by various guild members. Sign up for The Hunt for The Energizer via email to liteguild@gmail.com or in-game mail to The Charrdian before May 9th at 7:00pm EDT. Please include your account name. 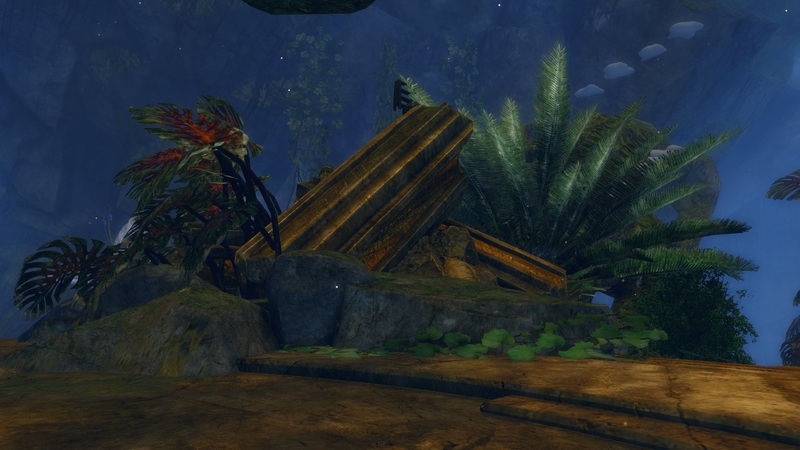 Find and complete each of these three jumping puzzles in the guild hall. At the end of each puzzle, take a screenshot of your character doing the /rank emote. Email those screenshots to liteguild@gmail.com (and specify who you are if you didn't email me in round 1) by May 17 at 11:00pm EDT. Super Adventure Hop ends on an unimpressive king frog. Arena Ascent ends in front of a commemorative statue. Chasing Waterfalls ends on top of a golden pillar. Each requested screenshot counts, so don't get discouraged if you can't complete all of them. Using your own skills as a safety net is allowed (Portal, Spectral Walk, etc). Using other players' portals is not allowed. Guiding other players is not allowed. Gliding may be required, advanced gliding mastery is recommended. Officer and Exemplar ranks will not have the Decorator permission during jumping puzzle rounds. The jumping puzzle leading from the guild portal to the highest point in the guild hall will be blocked during jumping puzzle rounds. 19 statues are hidden around the guild hall. The first 15 can be found through a series of clues. The last 4 are bonus statues. Bonus statues are well hidden, have no clues, and are worth more points. Each statue that is a part of this puzzle can be interacted with. This will reveal a dialog box containing that statue's number and non-bonus statues will give a clue to the location of the next one. When you find each statue, take a screenshot of your character standing in front of it with the dialogue open. Interactive with a statue through a wall or other barrier will not count. Email those screenshots to liteguild@gmail.com by May 28 at 11:00pm EDT. Your first clue is below. Good luck! One hero stands against a mighty lion. No jumping puzzles are required to reach any of the statues. Explore the guild hall. You may find a statue that you weren't even looking for. Each statue is worth points. Don't worry if you can't find them all. There is a jumping puzzle that begins near the Super Adventure Hop jumping puzzle from round 2. 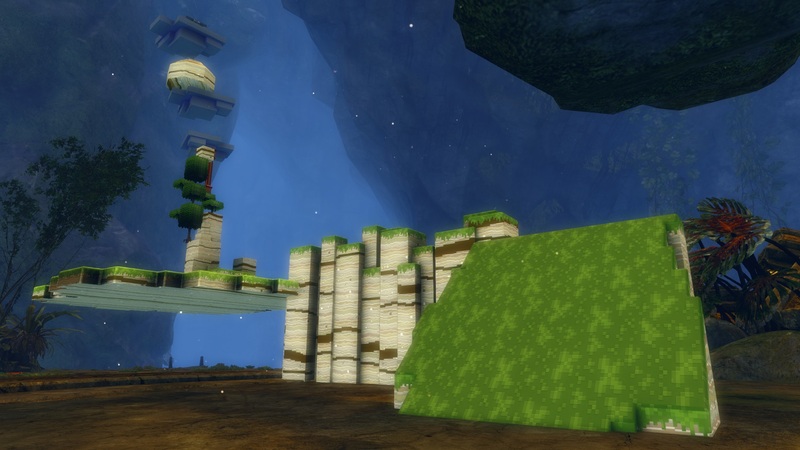 This jumping puzzle is designed to be difficult, but it has 10 checkpoints along the way, so you don't have to be great at platforming to participate. Take a screenshot of as many checkpoints as you can reach, as well as the end of the jumping puzzle (if you make it that far). Email those screenshots to liteguild@gmail.com by June 11 at 11:00pm EDT. Each checkpoint has a name. Tell me the theme of the checkpoint names in your email for bonus points. You need gliding lean techniques. Most checkpoints are signposts, although the sixth is a grave marker. There are tricky jumps right after the 8th and 10th checkpoints. If they seem impossible, try a gentler approach. This round consists of a set of 9 challenges. Harder challenges are worth more points. Unless we have a tie for the grand prize, this will be the final round. The deadline for challenge submissions is June 22 at 11:00pm EDT. The first three challenges are questions. The answers can be sent to me via in-game mail to The Charrdian or email to liteguild@gmail.com. One challenge can only be completed via in-game mail, and the last five challenges can only be completed by emailing screenshots to me. What is the first and last name of the Ascalonian man who traveled Tyria with his companion, Professor Yakkington? How many red lanterns are in our guild tavern? There's one grave marker in our guild hall that is used to memorialize someone. Whose name is on that grave marker? Send me one of the ingredients of linseed oil via in-game mail. Send me a screenshot of you and at least one other guild member fighting a world boss or dungeon boss together. Send me a screenshot of yourself getting gold in an adventure. 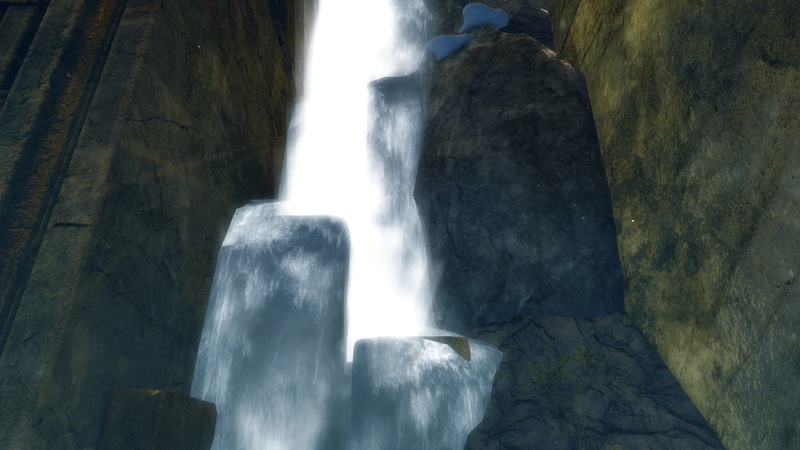 Send me a screenshot of yourself capturing an objective in WvW. Send me a screenshot of yourself winning an activity or PvP match. Send me a screenshot of yourself at the highest point in the guild hall. The grave marker is not hidden and is toward the center of the guild hall. A list of adventures can be found here. Objectives include camps, towers, keeps, and Stonemist Castle. The Oakheart's Reach mastery can be helpful, but is not required. There are 3 Oakheart's Essences placed in the guild hall. The jumping puzzle that starts at the guild portal has been unblocked. 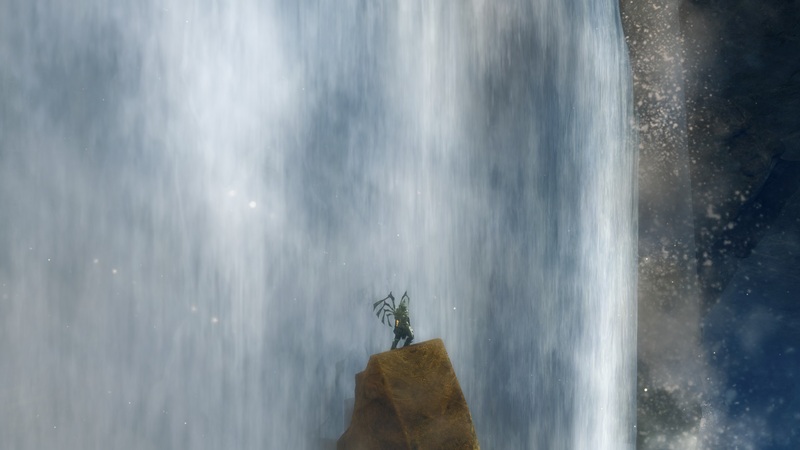 Following that jumping puzzle will take you to the top of the guild hall, but it's not the only way to get there. Standard jumping puzzle rules do not apply. You are allowed to guide or even portal each other for this challenge. As long as you get your submissions in before the first time I log in after the deadline, I'll count them. Mailing me any number of Flax Seeds or Milling Stones was accepted. Congratulations to Amar, who had the highest overall score! Honorable mention to Mariet, who was not far behind the high score, and Mauxe, who was the only participant to find all 19 statues in round 3. Thank you to everyone who participated! I put a lot of time and effort into this, so I hope you enjoyed it. If you have any feedback about what you liked or what could be improved, please let me know. PS - Walkthroughs have been posted for rounds 2 through 4 in their posts above. Please check them out, especially if you missed a round. 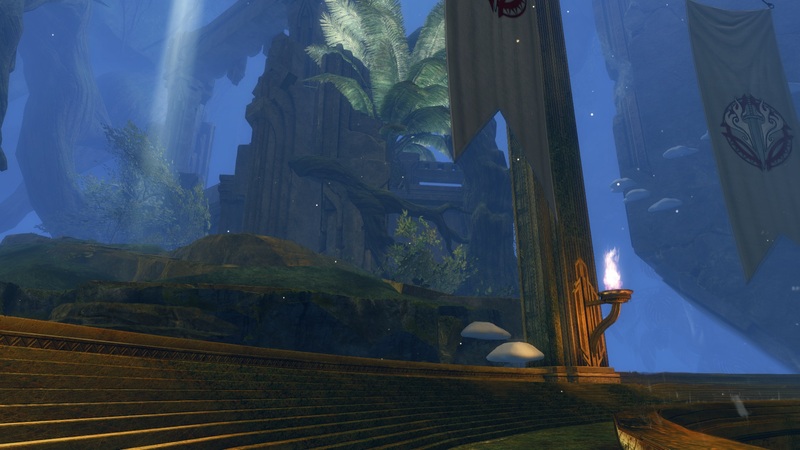 Brian: We completed our final GW2 guild upgrade! Huge thanks to everyone who donated, and congratulations everyone! Brian: I'm extending the deadline on the Super Chests event until 11pm (EDT) tonight. Get those screenshots in! Brian: Find Super Chests in our guild hall this week to earn prizes! See the forum post for details. Brian: GW2's Lunar New Year event has begun, and lasts until February 22nd. Brian: Living world returns for season 4 in two weeks! Brian: I hope everyone is enjoying Path of Fire so far.